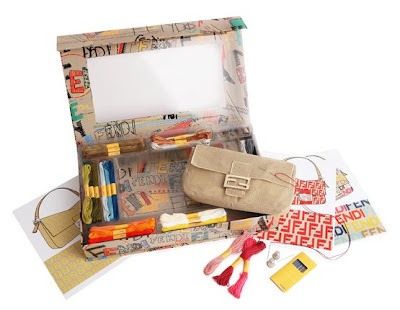 This limited-edition DIY Fendi baguette is another oddity I recently came across - can't believe it retails for 690 euro.The bag is canvas and comes with an embroidery kit and instructions on how to embroider. I love the concept as I'd love to make my own bespoke fendi, just not the price tag. And this could be such a great recession busting product if retailed at lower than regular price!